Ipoh, land of Bean Sprouts Chicken (Nga Choy Kai) and Flat Rice Noodles (Sar Hor Fun). It's the tastiest there is but that's not all Ipoh has to offer. 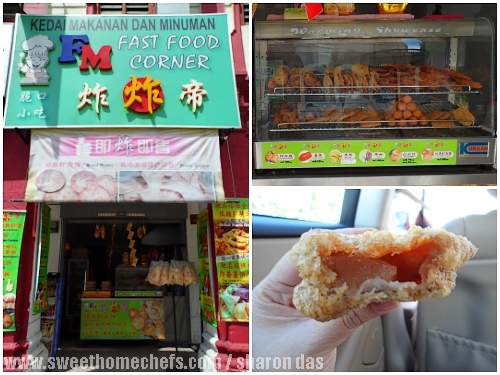 Ipoh has yummy snacks that have people queuing for a taste. Standing in line for a long time is not something anyone looks forward to but when you're as curious as us or a die-hard food fan, determination wins. 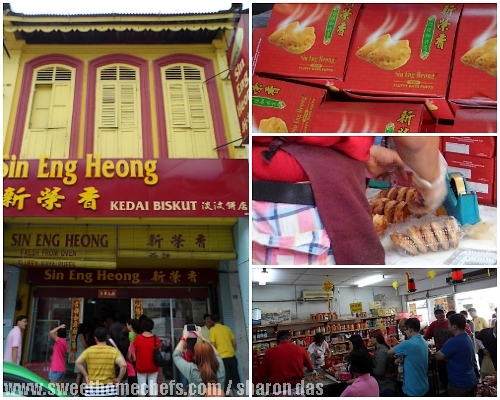 Like a good soldier, my partner Eve, braved the line for Sin Eng Heong's legendary Kaya Puff. It took almost two hours. On a brighter note, you never get anything less than freshly baked ones because these biscuits fly off the oven trays as soon as it is done! 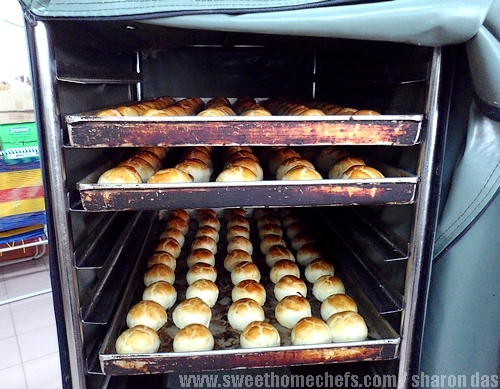 With over fifty years of experience, they have certainly earned their black belt in making kaya puffs. 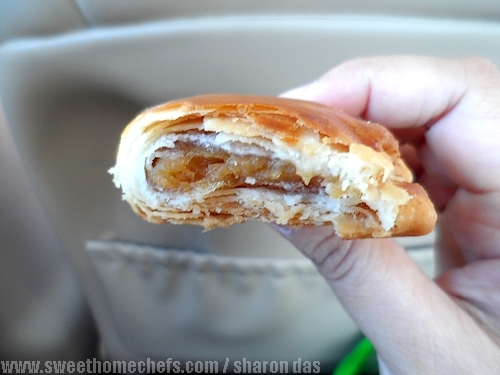 The soft flaky crust matched the home made coconut egg jam (kaya) perfectly. It was heavenly to bite into. Kaya Puffs - The store, the queue! 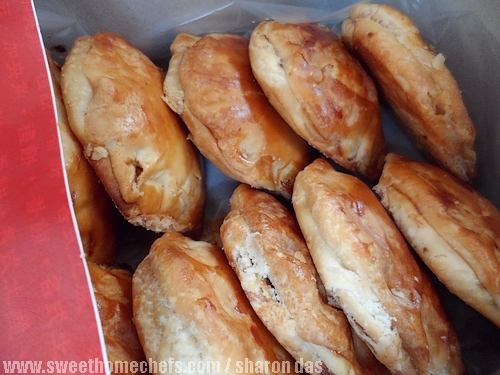 Biting Into Sin Eng Heong's Kaya Puff..yum! The rule: First come, first serve. Queue cutters beware! You could 'try' making reservations but don't get your hopes up and don't expect special treatment. While waiting for Eve, I took a stroll around the area, inadvertently stumbling across another queue. "What is with Ipoh and queues? " I wondered fleetingly. A quick check on my phone revealed that this soybean store, Funny Mountain, was famous for its tau fu fah (tofu pudding). 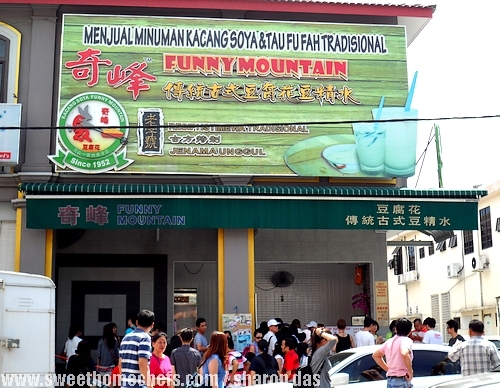 Funny Mountain - The soybean, tau fu fah specialist! I wasn't prepared to be wowed. I mean - how different could it be from the ones I regularly have. Now I see how wrong I was. This is phenomenal. 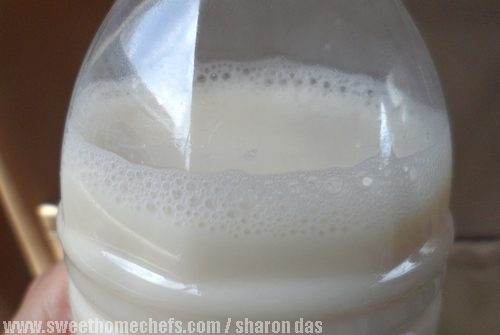 I love the texture - soft and silky. If anything, this has ruined any chance of me appreciating tau fu fah just like that anywhere else ever again. I've become fussy. 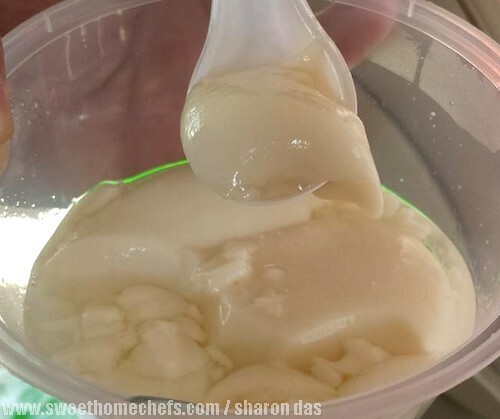 Funny Mountain's tau fu fah has become sort of a benchmark. The soybean drink was good too. If you're tired of queues and want a quick bite of something, walk across the road to Fast Food Corner. 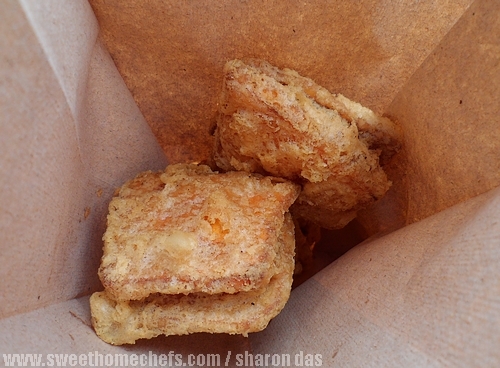 There's a host of fried snacks to try - sweet potatoes, bananas, yam, cempedak , nian gao (Chinese New Year Cake). No queue, no good? I wouldn't say so. To summarise, both Sin Eng Heong and Funny Mountain should be on your must-visit list. In this case, the finest things in life doesn't come free. 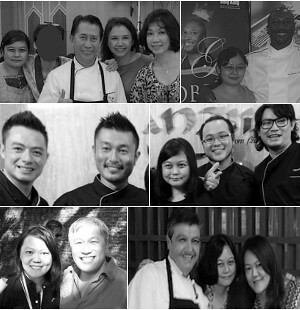 Time is a price you'd think twice to pay if you're not a foodie. Like you, I'm always snacking too! 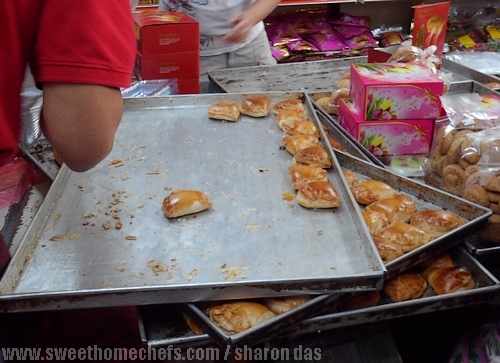 I'm not a fan of kaya as I don't have sweet tooth, but I would love to lay my hands on those salted egg-yolk buns!! It was hard for me to decide what to get - everything fresh out of the oven seemed so attractive..lol!